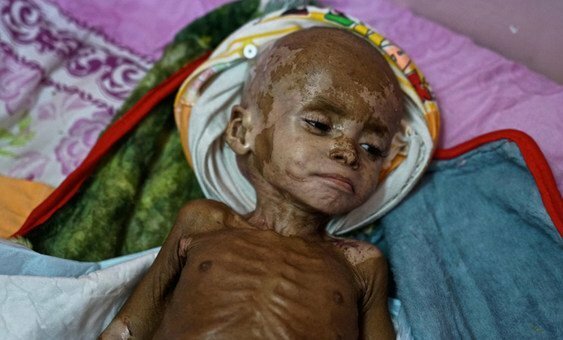 15 February 2019 — Fawaz, just 18-months old, suffered from severe acute malnutrition and was on the brink of death. In war-torn Yemen, he was one of hundreds of thousands of children, more likely to die, than survive. OCHA/Giles Clarke | Fawaz, who suffers from severe acute malnutrition, and his mother in the hospital in Aden, Yemen. November 2018. After almost four years of brutal conflict, the health care system in the country has been decimated: doctors struggle to get paid, medicines are extremely rare, inflation has rendered the most basic commodities prohibitively expensive. For Fawaz and his parents who were watching him waste away helplessly, this could have meant the end, but against all odds, he was able to access the right treatment. Here’s his extraordinary story, from our colleagues at the UN humanitarian coordination office (OCHA), and the camera lens of photographer, Giles Clarke. (SOURCE: UN News).